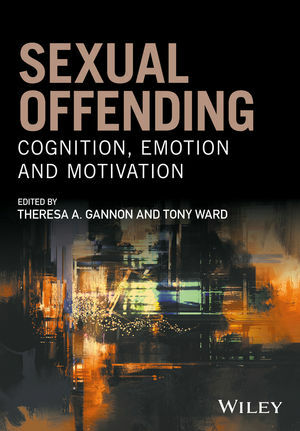 Sexual Offending presents the latest theory and research relating to the social cognition, emotion, and motivational goals of individuals who have committed sexual offences. Theresa A. Gannon is Professor of Forensic Psychology and Director of the Centre for Research and Education in Forensic Psychology (CORE-FP) at the University of Kent, UK. Dr. Gannon also works as a Practitioner Consultant Forensic Psychologist specializing in sexual offending and fire-setting for the Forensic and Specialist Service Line, Kent and Medway Partnership Trust. She has published more than 100 book chapters, articles, books, and other scholarly works related to male- and female-perpetrated sexual offending.